At the December 4, 2014 meeting the La Jolla Community Planning Association (LJCPA) Trustees once again voted to change their city approved bylaws. Despite threats from the City of San Diego and a existing lawsuit to have the LJCPA decertified, our community group refuses to abide by their City approved bylaws, City Council Policy 600-24(600-24) and the City approved 600-24 Administrative Guidelines. 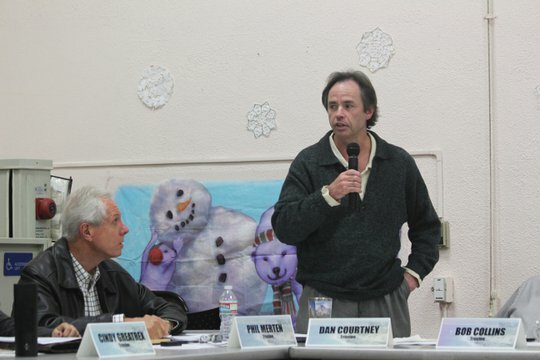 Trustee Dan Courtney assured the four or five remaining residents at the meeting, “the good people are in control,” as the Trustees approved a bylaw amendment that not only conflicts with their own city approved bylaws but also with the bylaws of the other 42 planning groups in the City of San Diego. The amendment essentially removes LJCPA term limits and allows current Trustees to remain in control of our community group indefinitely. The amendment will allow a “termed-out” Trustees, that receive 2/3 of the votes, to trump-out a “non termed-out” qualified candidates from serving on our community group. The proposed “time-sensitive” bylaw amendment, as noted by “termed-out Trustee” Joe La Cava, will be sent to the Development Service Department (DSD) for approval. If the DSD once again denies the substance of the proposed bylaw amendment it may be sent to City Council for approval or denial. Click here to watch the Trustee debate and vote on the proposed bylaw amendment.